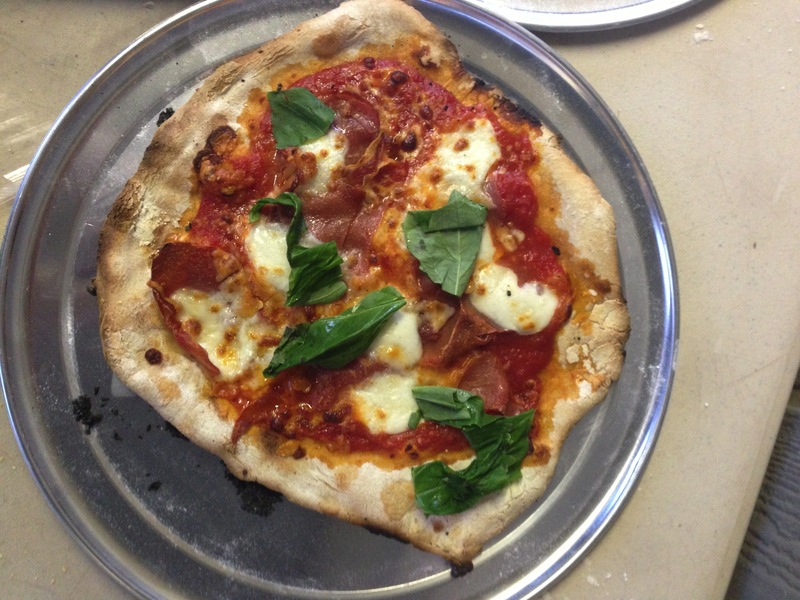 Bob got a new wood-fired pizza oven at the farm recently that I was dying to use. 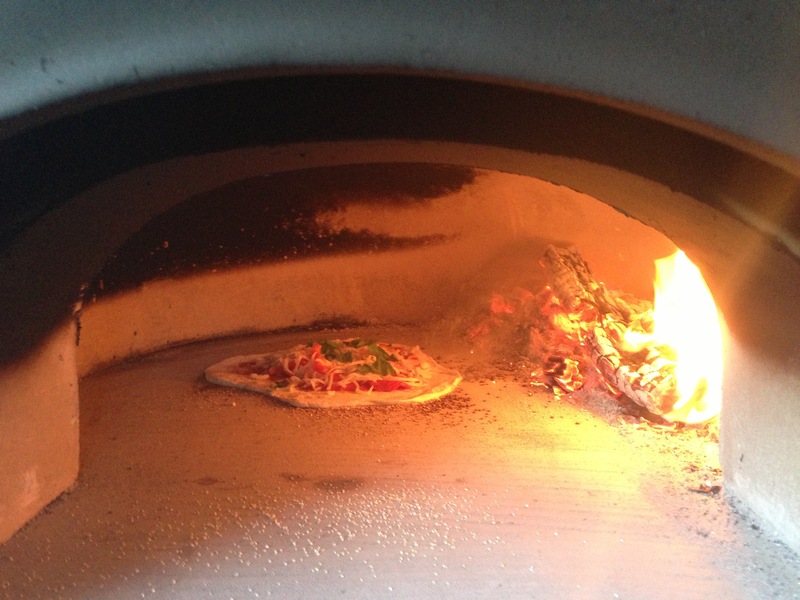 I love wood-fired ovens and the few times Sean and I have cooked in them the results have always been fantastic. Last Friday night we got to break it in and I came to the farm armed and ready to cook. There was a lot of planning, buying, prepping in anticipation of using it. I was texting with Payton to get advice on the dough, and I saw Bob in the kitchen at Italian Restaurant earlier in the week getting advice on the oven. 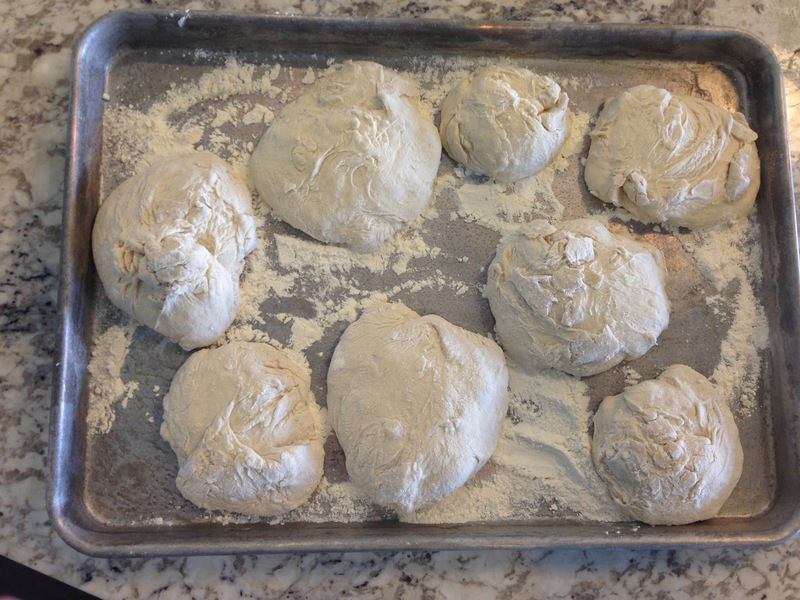 I made the dough the night before and a homemade tomato sauce that day. 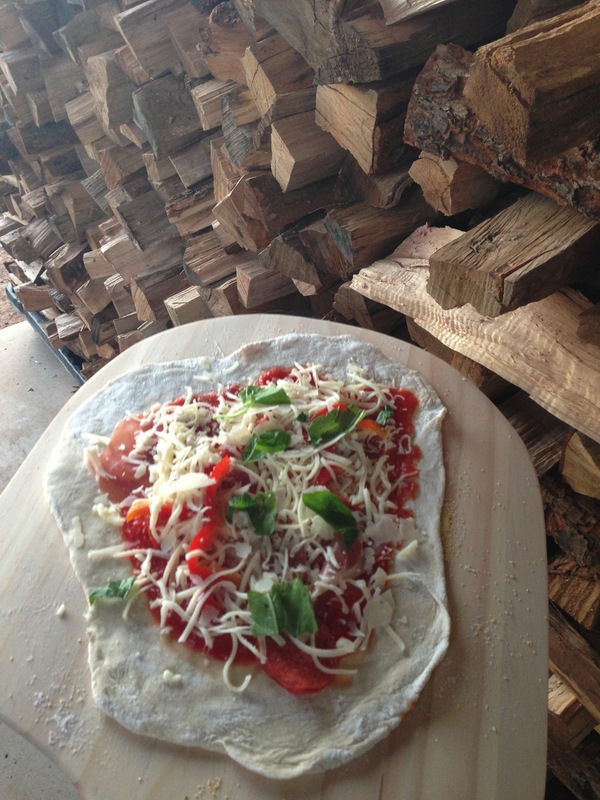 I had three kinds of cheese, all sorts of chopped veggies, prosciutto, pepperoni, fresh basil. 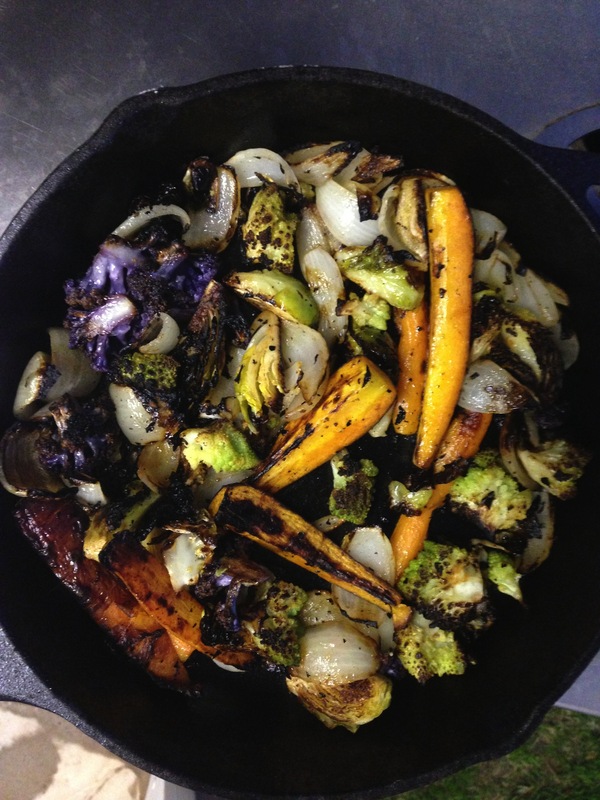 Marsha went and picked a number of vegetables to roast for a side that we tossed in a skillet with a little olive oil. Bob and Sean kept the fire going throughout the day to get the heat up. It was better than I had hoped. Once we got the pizzas prepared, it went fast. Most were done in about three or four minutes. They kept a careful eye on the fire, although I was too busy preparing the next pizza to go in to see what the temperature was. I told Sean he should go old school like the Generali and use his hand to see gauge how hot it was. He declined. He did keep a careful watch and rotated them often so they would cook evenly. Bob was worried that we had burned the vegetables, but they were perfectly roasted. The result was fantastic, the vegetables were slightly caramelized, smokey, a little sweet, and the pizzas turned out just as wonderful. They were all a little different and horribly misshapen, but oh so good. I am already planning for our next meal. There are too many ideas to count… roasted chicken, focaccia, salmon, brioche maybe, and vegetables, so many vegetables. I want to try them all in the new oven. Can you imagine corn on the cob this summer? Or just a skillet filled with heirloom tomatoes with a olive oil and garlic? Or summer peaches with just a little honey and cinnamon over the top? Hi Kate, we are building an oven at The Farm also. I am so excited. i forwarded your blog to everyone. How fun Pat! Let me know when it is in – I will be there ready to dine!! Oh Bob! We are so jealous!